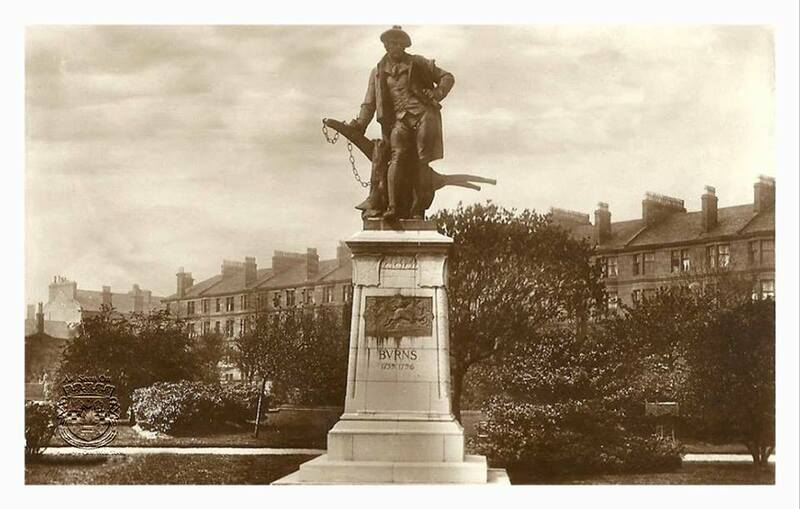 119 years ago, in 1896, a magnificent statue was erected in Paisley to mark the centenary of the death of Robert Burns, Scotland’s National Bard. The statue is well worthy of note: like its brother statue of the Paisley poet Robert Tannahill it had been funded mainly by open air concerts given by the public-spirited members of the Tannahill Choir. These concerts, which took place in beautiful countryside in the Glenfield Estate at the foot of the Paisley’s scenic Gleniffer Braes, were the social event of the year in the town. In their heyday a huge choir of around 700 voices would sing Scots songs to an enormous audience of around 30,000 concert goers, and the audiences were scarcely less at the Burns statue series, where around 400 choristers would sing to an audience of around 20,000. 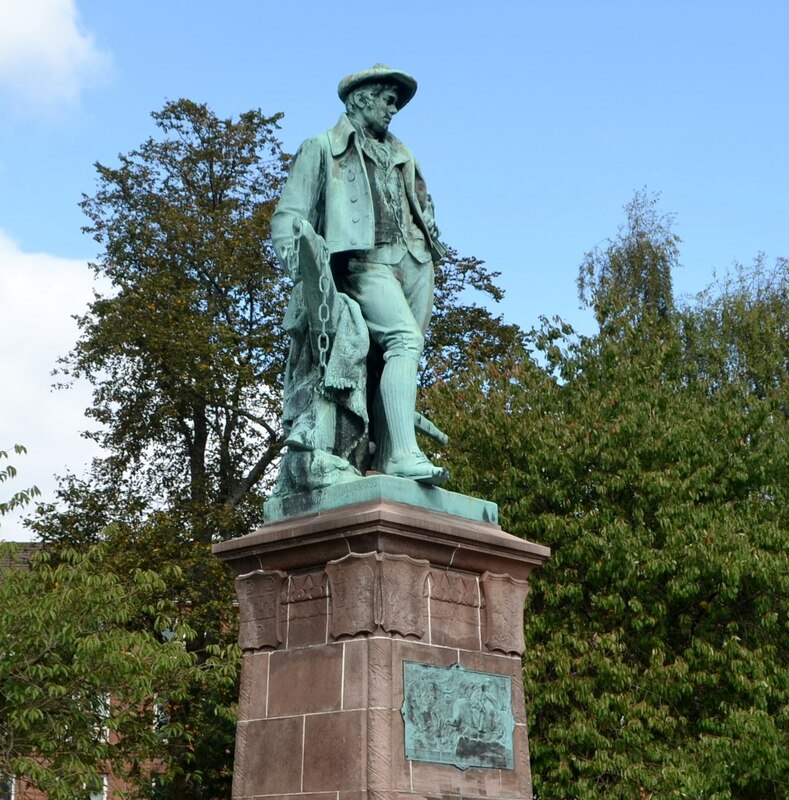 The statue is today considered by many to be the finest memorial to Robert Burns in existence. This is as much due to the taste, efforts and attention to detail of the original Burns Statue Committee as it is to the substantial sum of money made available to them. Paisley’s attachment to Burns goes back a very long way indeed, and many Burns’s many connections to the town are well known. Jean Armour, Burns’s eventual wife was sent to stay there with her uncle, Andrew Purdie, during her first confinement. Some of Burns’s closest friends and supporters lived in the area, including the Earl of Glencairn, subject of the famous “Lament”, who lived nearby at Finlaystone House in Langbank; there was also Alexander Pattison, whom Burns dubbed “The Bookseller” after he disposed of 92 copies of his 1787 Edinburgh edition to local enthusiasts, and Wilhelmina Alexander, “ The Bonnie Lass O’ Ballochmyle”, who was born and lived for over thirty years just over the town boundary at Newton House, Elderslie. Burns himself visited the town in 1787 and 1788. Paisley was always a town in the forefront of the appreciation of the Bard’s works, and in 1805 a group of local poets, including Paisley’s own bard Robert Tannahill formed one of the world’s first Burns Clubs, meeting for the first time in January 1805 at the Starr Inn, 29 High Street, to celebrate the anniversary of the poet’s birth. In 1933 the Tannahills Cottage was given over to the custody of Paisley Burns Club, fitting indeed as Tannahill was appointed Secretary of the Paisley Burns Club when it was formed in 1805. When did his name suddenly change? These little thing’s drive me insane. are our memories being contorted? When through the braes we still ran wild. Encouraging people simply to care. Inspired by him we never met. Please remember the things he held dear. Reaching out and loving each other. And I’d hate to see that simply forgot. As it sounds too much like the word jobby. And don’t take part in the collective blindness. for the Scot whose words span the miles.